Do you love to entertain, or just simply enjoy an open floorplan? If so, the CALI has it all on one floor! 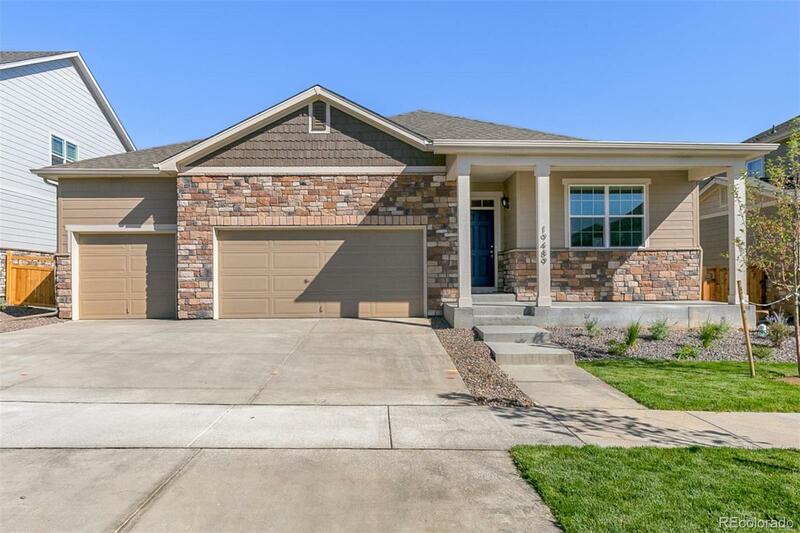 This home has all of the conveniences of buying a brand new home (like the awesome warranties), with full front and backyard landscaping, air conditioning, window blinds, stainless steel appliances, twilight cabinetry, hardwood flooring and so much more! With quick access to DIA and the Light Rail, and the new Gaylord Hotel, High Point is a commuters dream! Approximate completion of this home will be Feb/Mar. Builder 2-10 Limited Warranty. Photos are representative, not of actual home. Association Name Primary: Management Specialists, Inc.